Crime scenes have unpleasant reminders of what has unfolded. It can be traumatic dealing with crime scene cleanup. Bio Clean, Inc. can help you restore your property. We specialize in crime and trauma scene cleanup. Our team is certified and receives on-going training to stay up-to-date on the latest techniques and information. We work to discretely and professionally remove any reminders of the crime that took place on your property. Using only the highest quality equipment and sanitizers, we address any environmental issues that are present as a result of the crime. Contaminants such as toxic chemicals, biological residue, and potentially lethal pathogens may be present. If not properly cleaned, disinfected, and sanitized, these could spread diseases. When disposing of medical waste, we create manifests to keep track of medical waste to ensure that it is disposed of properly. We guarantee that medical waste will not end up in a landfill or transfer station. Whether your property affected was a home or business, we offer competitive pricing and will deal directly with your insurance. Available 24 hours a day, 7 days a week, we respond to emergency calls promptly and efficiently at no extra charge for after-hours calls. We do not charge extra for nights, weekends, or holidays. When the worst happens, we are here to help. Vandalism can occur on any structure; a side of a home, an apartment building, a warehouse, bridges, street signs and even vehicles. Although the most common form of vandalism is from spray paint, it does not mean that there are not other forms that involve bodily fluids. BCI will come out and cleanup any type of vandalism that has occurred on your property or in a public area to ensure the safety of the community. It is important to us that our communities remain safe and free from all forms of vandalism. Did a crime occur in your home, facility, or place of business? Was tear gas used on the crime scene? As you know, tear gas is noxious. It can irritate skin, eyes, open wounds, and airways. Some of the immediate signs of exposure to tear gas are irritation to the eyes such as: burning, tearing, and redness. This can also occur to the nose that can cause runny nose, burning, and swelling, to the mouth such as burning that can lead to difficulty swallowing and drooling, to the lungs which can cause chest tightness, coughing, chocking, and wheezing. It can cause rashes and burns on the skin. Other immediate symptoms would be nausea and vomiting. Tear gas will leave behind a residue that can continue to irritate until it is properly cleaned. Long-term exposure can lead to health effects such as eye scarring, glaucoma, and cataracts along with potential breathing problems such as asthma. BCI can properly clean it for you. Our team is trained and respirator certified. We can come to the scene and begin the process to remove remaining residue and check the extended area for contamination. Your job never stops, and neither does Bio Clean. You encounter a number of situations throughout the community you serve that require specialized cleanup services. While you aren’t responsible for hiring professionals to handle situations such as crime scenes, blood and bodily fluid contamination, sharps, or hoarding, you want what’s best for the people you serve. Bio Clean, Inc. and its sister company, Compassion & Comfort Care Cleaning, work within the community to cleanup hazardous conditions. We are certified by Washington State as meth lab cleanup contractors, and are compliant with WISHA, OSHA and all other regulations. Bio Clean, Inc. takes pride in providing a necessary professional service to our law enforcement agencies who work to keep our communities protected and safe. We are trained, certified, and experienced at handling biohazardous contaminants. If your holding cell has been exposed to blood or bodily fluids, we are able to decontaminate the area and restore the sanitation. A suspect or detainee can leave behind a number of bodily fluids in the backseat of your cruiser. These bodily fluids are potentially toxic, not only to you but to the next person who finds themselves in your custody. These fluids include blood, vomit, urine, feces, and more. In addition, the person being transported may be carrying pathogens within the fluids. The risks are daunting. For example, one in twenty people have hepatitis, one in 300 people can be infected with HIV, and one in five people have herpes. And if a person in that car has an open sore and MRSA, which is an antibiotic-resistant Staph infection, that too, can also be left behind. Bio Clean, Inc. uses a comprehensive cleanup and decontamination process to remove pathogens. Our technicians are highly trained and experienced. We clean, disinfect, and remove any contaminated items. All other hazardous materials are removed and disposed of according to all regulations and mandates. BCI provides impeccable service. We do not merely use bleach to wipe the surfaces because this is only a half-measure. We take apart the pieces of the car—take out the seats, dismantle areas that are contaminated—and use the most effective enzyme detergents and sanitizers available. BCI does offer vehicle decontamination to taxi services, schools, and the general public as well. Bio Clean firmly believes that police and those who work to protect us shouldn’t have to take the unnecessary risk of becoming ill, or worse, due to a fluid left behind by someone that was transported in their car. BCI provides service 24 hours a day, 7 days a week. We promise we will work expeditiously to get your car back into service quickly. 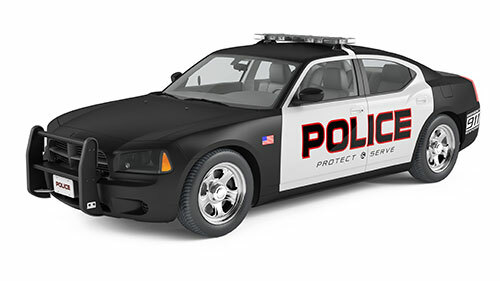 Bio Clean, Inc. is a specialist in law enforcement vehicle cleanup. You can be sure that when we have completed our job, your vehicle will be completely sanitized and pathogen-free.